The only way to dry hop! Because it's pure Citra Aromas! dry hops in a pale ale that could use a little more "oomf"
It is great in my Double IPA. Get these as soon as possible, everything great about Citra with no drawbacks. Dry hopping without added sediment. Recently began experiments with cryo hops & this is a good price. 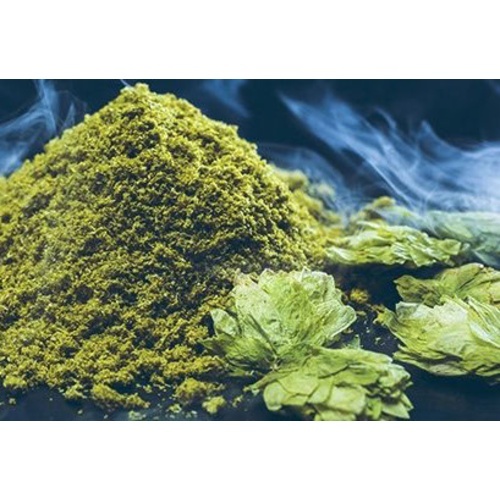 This powder is great for very late and dry hop additions. I use Citra, Simcoe and Mosaic Cryo hops to dry hop my IPAs after primary fermentation. The hop nose and flavor are boosted without the vegetal or bitter aspects. Great stuff!! Also getting amazing results from distilled hop oil added directly to the keg at 0.5 ml per 5 gallons. I wouldn’t say that the flavor is any better than using pellet hops, but on big IPAs, putting half as much planet matter is probably a half gallon savings in trub. Worth the cost, to me. Great and flavorful results. Have used for a batch with only flameout additions and also dry hopped in a number of batches as well. More flavor and less vegetable and grassy character. Would recommend for your next hoppy beer. Will be a staple in my future hop centric brews. I used the Citra Cryo Hops in my go-to Pale Ale. The only thing I noticed was that these are twice the potency of the regular Citra Hop pellets. So I used 1oz of the Cryo hops for every 2oz I normally would use. Do the math: 2 oz Citra hops = 2 x $2.99/oz = $6; 1 oz Citra Cryo hops = $5. Pretty much the same. Can never have enough hop flavor. I like these pellets. Double the regular. Nice for dry hopping. Holy crap, i had an Ipa that just didnt taste right, dry hopped in the keg with a packet of these and it totally changed the beer from "eh" to "Ill have another"!!! I ordered Citra Cryo Hops to use in my IPA, I used 1oz at flame out and whirl pooled them while chilling the wort, then I dry hoped 1oz for 5 days. something to note the Cryo hops like to float on top of your beer so to get them in solution I added CO2 to the top of my fermenter and gave it a soft shake this seemed to work real well, Also the flavor and aroma comes out real quick so the need to dry hop for days with Cryo hops I don't feel is needed. I'm going to be testing some more with them and see how they do in the boil. so far I have been very impressed with the flavor and aroma they put in the final product!